What would restaurants be without sauces to cook their delicious meals in. The right choice of cooking sauce can make or break your meals. The restaurant supply superstore carries all the top cooking sauces like soy sauce, teryaki sauce, duck sauce, hollandaise sauce, marinara sauce and many others for flavoring your restaurant meals. Many restaurant kitchens use standard cooking sauces as bases for custom sauces they create. This speeds the cooking up instead of making 100% of it from scratch. 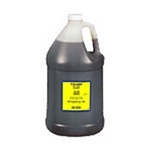 Heinz Vinegar Malt - 1 Gal. Clorox K C Masterpiece Marinade Spiced Caribbean Jerk Sauce - 16 Oz. 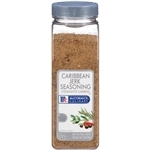 McCormick Caribbean Jerk Seasoning 18 oz. Unilever Best Foods Knorr Ready To Use Jamaican Jerk Sauce - 0.5 Gal. Unilever Best Foods Knorr Caribbean Jerk Sauce - 64 Oz. Pan Chi Hoisin Sauce - 2268 Grm. Soy Vay Glaze and Marinade Hoisin Garlic Asian - 22 Oz. Sauce Craft Sauce Garlic Parmesan - 1 Gal. Buy Wholesale Cooking Sauces for your restaurant and food service cooking needs today. Worstershire sauce is a main ingredient in many marinades these days as it goes great with meats, especially steaks. Chicken wing establishments love our hot sauces to flavor their wings with.